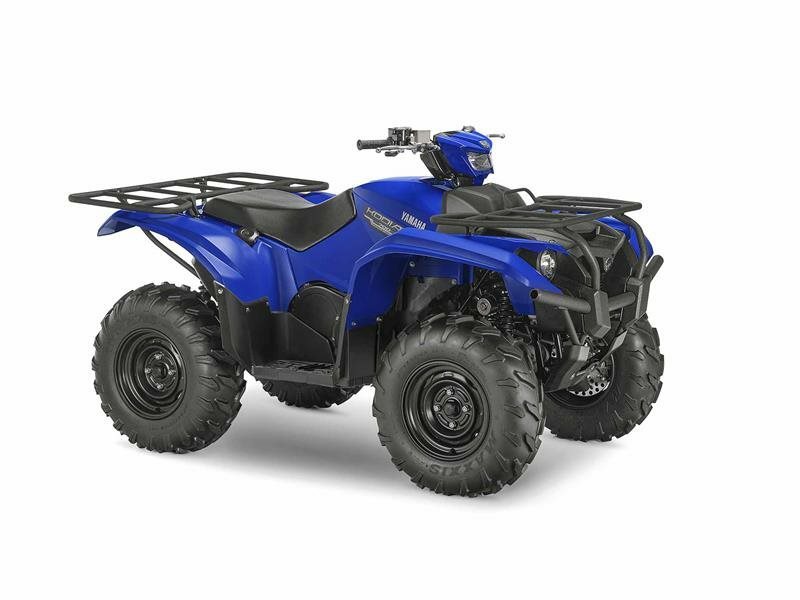 2016 Yamaha Kodiak 700 EPS Blue, COME TEST RIDE TODAY - Bigger, tougher and with class-leading performance, Kodiak 700 EPS is the best value utility ATV on the market. Where else can you get the quality you expect from Yamaha, electric power steering, a 700 class engine, full-size chassis with a mid-size price tag? Make no mistake, Kodiak 700 EPS is the choice for a rock-solid workhorse ATV that won't break the bank. All Yamaha pictures are kind of Yamaha HD motorcycles picture was taken, including motor fuel gauge, engine, engine mounts, tires, fuel tank, the car handles, lights and so on, 2016 Yamaha Kodiak 700 EPS Blue full-screen viewing,2016 Yamaha Motorcycles today Price: $8,199 .